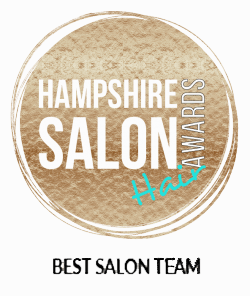 2 awards in the Hampshire Salon Awards! As summer draws to an end in the UK, the sun is still shining down on us in the salon and we are basking in the good vibes! Following a busy summer and all our hard work, we are excited to announce that we have been nominated for 2 awards in the Hampshire Salon Awards! This is our first ever award entry so to be finalists for 2 awards is a massive achievement which we really didn’t expect so we feel like we’ve won already! We are finalists for best salon team and we can honestly say that we feel we have the best team ever and the atmosphere in the salon is always positive and we support each other through thick and thin. We are there for each other in the salon and we all have each other’s backs which make the salon run smoothly and our clients have a good experience which is our priority. 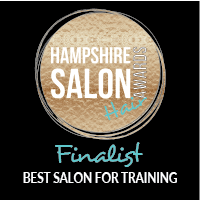 We are also finalists for best training salon and this is due to the fact that we train hard at William and Mary.